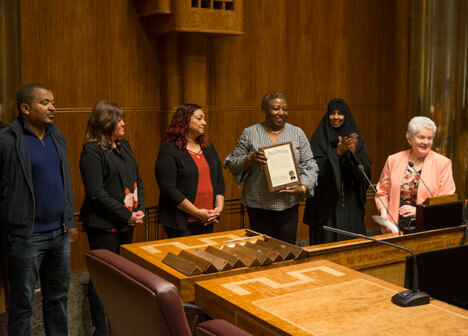 The board of commissioners has declared Oct. 11, 2018 as Licensed Family Child Care Provider Appreciation Day in Ramsey County. Licensed family child care providers will be honored at the 41st annual provider appreciation event that day. An official proclamation was issued at the Oct. 9 board meeting, demonstrating Ramsey County's commitment to the nurturing of children. Licensed family child care providers ensure a safe and healthy environment that fosters the physical, intellectual, emotional and social development of children. Posted on Thursday, October 11, 2018 - 8:00 a.m.